Welcome to Books On The Delhi Metro! Do you commute by Delhi metro? Are you fond of reading? Do you believe in fairies? Well, guess what? We too! We are a bunch of book lovers who believe in sharing-is-caring. And we decided to take this a step ahead. So now if you see some stickered beauties while you are commuting, don’t fret, don’t hesitate. Those books are there to be picked, read, and devoured! Found one of our books on the metro? The book needs your warmth, a new home. Feel free to pick it up and take it with you! All our books celebrate the unique and powerful work of a wide range of genres. Read, love and devour them! Once you’ve finished the book, return it to any metro station you like. Just inform us through social media (Facebook message, Instagram DM, or Tweet us) and we’ll retweet/repost your drop! Hi I just saw a Post on LBB, describing this very exciting and applausible work that you do. I want to be aware of how the whole idea works. Do you post clues on your facebook page, as to where to find the books? And what if someone is not courteous enough to return them? How can I contribute some of my books to your cause? Thank you Aditya 🙂 You can drop us an email on booksonthedelhimetro@gmail.com and we will take it forward from there. Hope you join the bandwagon soon. Heard your concept on Radio, nice initiative. Congrats !!! I am an avid reader and have plenty of good books which can be read by others. Let me know if you can collect. HI Team, It is really nice initiative. Just wanted to know how this works. Are there any designated spots at metro stations for drop/pick up of these books. I would like to be a part of this. Hello Mahaveer. Thank you for appreciating. We drop books at different stations, different spots so that everyone has a fair chance of picking/finding a book. 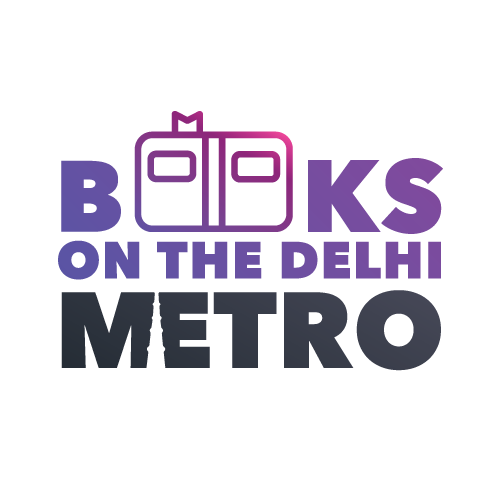 Please drop us an email on booksonthedelhimetro@gmail.com and write to us how you would like to become a part. Hi Shruti I am a published author of a poetry book and currently writing a fiction . I would love to donate my books for this cause as I want more and more people to know me . Hi Shruti, I found a book in the Green Park Metro on 20th May 18′ and saw about this unique concept mentioned on the coverpage of the book. It is a book based on Ghazals and philosophy. I will read it and leave it for somebody else to enjoy. Hello ! Its a good initiative . Hope to see some one from your readers read my Book on short stories : Journey from Guwahati to Machhiwara : in 19 countries , 170 libraries in India , 7 librariies in Usa . Will tell some of my reader to drop a copy of my book in one of the metros . This is a great step. it increases knowledge and bond with each other . Today I came to know about this campaign through a news paper, I compliment you for this. I am a writer and want to donate my book. And this is a short Novel. Will you help me for this. This is our online book club where we discuss one book every month. We’ll choose a book and post about it here and on our social channels. If you’d like to join, grab a copy of that book and read it along with us. We’ll then open up a discussion here and on our Instagram page so you can let us know what you think! I am so happy that I get to know about this. I am a true believer of fairy tales and now that I came across this amazing thing , I really want this to happen with me because not always everyone can afford books but also they believe there are people like you who act as a book Fairy.